Blue tansy essential oil smells like subtle flowers, sweet and fruity with mild camphorous and herbaceous tones. It should be blue in color due to the chamazulene content. There is a lot of confusion surrounding this hard-to-find and expensive oil. Reading books by various essential oil experts and doing Google searches does not prove to be helpful, either, and will likely just confuse the home user further. To help weed out the misconceptions and try to help you understand why there is such confusion and what to look for, I'll compare some of the oils you may come across that can be confused with this elusive oil. First, blue tansy (T. annuum), should never be confused with tansy (Tanacetum vulgare). This oil is highly toxic due to its high thujone content and should never be used in aromatherapy, much less by an untrained home enthusiast. Tansy is known by many names, such as bachelor, bitter, or golden buttons; cheese, cow bitter, common tansy, or scented fern. It is related to feverfew (Tanacetum parthenium) as well as daisies and marigolds. The second oil that blue tansy is often confused with is chamomile maroc (Ormenis multicaulis). You may see the oil called chamomile mixta, wild chamomile, Moroccan chamomile or botanically named Anthemis mixta, or O. mixta. The oil is sometimes called ormenis oil. Both of these plants grow in and their oils primarily produced in Morocco. Nonetheless, chamomile maroc oil is greenish-yellow to amber and warmly balsamic yet sweet and herbaceous. The oil from O. multicaulis has no known contraindications or side effects and is considered non-irritating and non-toxic, unlike common tansy oil. However, it is not interchangeable with blue tansy oil. True blue tansy oil, sometimes called Moroccan tansy or Moroccan blue chamomile, has a beautiful deep blue hue due to its chamazulene content. Because of this, it is also sometimes confused with German chamomile (Matricaria recutita), which also contains chamazulene. This oil is often adulterated and not pure. For your safety, it is important to find a reputable distributor. Unscrupulous suppliers have even been known to add constituents to the harmful common tansy oil to give it a blue color and mislabel it to dupe consumers. Always perform due diligence to ensure the oil is sourced from Tanacetum annuum. Often, the price of the oil will provide clues to whether the oil is pure. If it seems too good to be true, it likely is. True blue tansy is pricey and can be hard to find in pure form. 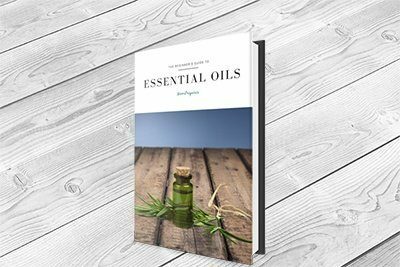 Blue tansy oil blends well with lavender oil (Lavandula angustifolia), citrus oils like sweet orange (Citrus sinensis), clove bud (Syzygium aromaticum) and other spice oils, frankincense (Boswellia carterii), lemongrass (Cymbopogon flexuosus / citratus) and more. Due to the possible contamination and prohibitive cost, blue tansy is not an oil that is often used. However, if you are able to source it and want to experience its benefits, there are numerous uses for it in the home. The blue color can stain surfaces and clothing, so take care when using it. There are a number of uses for blue tansy on the skin. That being said, you will want to dilute the oil well. Just as it can stain objects, it can stain your skin. Using too much could have you looking like a smurf for a while! You can use blue tansy in blends for acne, psoriasis, eczema, dry skin, and more. It has a cooling sensation that makes it fantastic for sunburns. One drop neat on an irritated bug bite can help fight the inflammation. You can put one drop neat on a blemish. For more persistent breakouts, add a couple drops to your favorite cleanser. Do not go over five percent per volume. Just like for acne, you can add a few drops to your moisturizing lotion. Again, no more than five percent. Aromatically, blue tansy is a mood enhancer. Add it to your diffuser or room sprays to create an uplifting, brighter-feeling environment. You can also use blue tansy in personal inhalers, your bath or shower, or simply place a drop on a cotton ball to inhale when needed. Between its cooling and uplifting effects, blue tansy essential oil is an excellent choice for times when a massage with a little extra 'oomph' is needed. You can use it for after-exercise blends, cramping muscles, aching joints, arthritis, or just to unwind. Add the above blend to one teaspoon of carrier oil. Massage around the shoulders, back, and other areas where tension is felt. Do not use this recipe on pregnant women, epileptics, or anyone on multiple medications, especially antidepressants or sedatives due to the valerian. The antihistamine effects of blue tansy can extend to the airways as well. Many people suffer breathing problems, whether acute or chronic, and some essential oils can help with that. This is especially true of those containing camphor, like blue tansy, or eucalyptol, like eucalyptus oils. You can use blue tansy in facial steams by adding 3-6 drops of the oil to a bowl of steaming water. Place a towel over the back of your head and breathe in the vapors with your face about 12-inches from the water for 5-15 minutes. Stop if you get dizzy or feel ill.
Kurt Schnaubelt, as well as many other essential oil aficionados, tout the benefits of blue tansy as a potent antihistamine and anti-inflammatory. Oral antihistamines like Benadryl® are often recommended to calm the histamine reaction. This is helpful for allergic reactions ranging from runny noses and sneezing from pollen to skin rashes from detergents, bug bites, and more. There are also topical antihistamines, like Calamine® lotion, hydrocortisone, or baking soda. Some essential oils, especially the chamomiles, blue tansy, and lavender, can calm the histamine reactions on the skin from irritations like bug bites due to their active constituents. You can apply these oils neat using one drop on the bite. You may also add the oils to your regular topical application like those above. Besides being able to ease the inflammation caused by histamine reactions from bug bites like mosquitoes, it may be able to help keep them away too. Next time you need to keep the annoying critters and no-see-ums away, try the following blend. Add the above to a spray bottle with 8-ounces of room temperature water. Spray the area around where you would like to keep mosquitoes and other biting insects. There is very little reliable information about blue tansy oil, and even less reputable studies. While blue tansy oil is considered generally safe for most people in the normal range of use, there are some considerations to take into effect. Camphor, which is found in blue tansy oil, is not recommended for children under ten or the elderly. Furthermore, as the name states, blue tansy should be blue. If it is brownish or black, it is no longer viable for aromatherapeutic uses. The change of color indicates age, which means oxidation and free radicals and therefore should not be used. This color change extends to other oils as well. Blue tansy oil is as elusive and confusing as it is beautiful and helpful. The blue color will tip you off to its chamazulene content, but you still have to be careful to source it proactively. If you can find the true oil, it is beneficial for many things, primarily to aid in skin and mood conditions. Find a reputable supplier, and when you are able to, try to purchase an organic form.